For some time I have noticed that there are some quite strong similarities between elements of Doctor Who and the world of Rudolf Steiner. I have outlined some of them in this article. If you have any thoughts please leave a comment. Steiner was known to his friends as “The Doctor”. He usually dressed in the flamboyant Edwardian clothes of his student days (resembling Hartnell and McGann’s Doctor Who characterisations). The science of doctor who is similar to Goethean science. Steiner edited Goethe’s scientific works and developed many of his ideas from Goethe (and his friend Friedrich Schiller). The difference between the manufactured and organic worlds is blurred. In Steiner we see this in his architecture which seems to grow rather than be constructed. 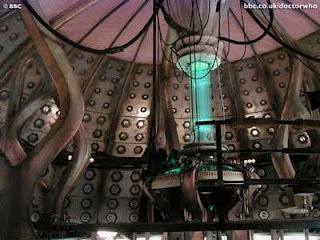 In doctor who the Tardis is not simply a machine, but an organic entity with a life and a life force. In the Doctor Who story Logopolis the planet's physical structure is dependent on the continuous mathematical calculations of its inhabitants. This is an example of spiritual activity (thought) being integral to the physical world, something quite in line with Steiner's ideas. The Doctor uses his senses to understand the physical world. Often being able to sense things rather than observing them through empirical means as a conventional scientist would. "Do you know like we were saying, about the earth revolving? It's like when you're a kid, the first time they tell you that the world is turning and you just can't quite believe it 'cause everything looks like it's standing still. I can feel it... the turn of the earth. The ground beneath our feet is spinning at a thousand miles an hour. The entire planet is hurtling around the sun at sixty seven thousand miles an hour. And I can feel it. We're falling through space, you and me, clinging to the skin of this tiny little world. And, if we let go..." (The Doctor,in Doctor Who episode Rose 2005). This is rather like Goethe’s idea that we cannot divorce ourselves from nature and have to use our senses to understand phenomena in order to truly understand them. Steiner took Gothe’s idea and developed it into a spirtual science which he called “Anthroposophy”. Steiner proposes intuitive thinking as a path to knowledge about the physical world and the spiritual world beyond. The Doctor relies on intuitive thinking, often sensing disturbances in the time dimension in the way that Steiner (or any initiate) senses things in the spirit world. It was the night from January 10th to the 11th. I didn’t sleep a wink. I was busy with philosophical problems until about 12:30 a.m. Then, finally, I threw myself down on my couch. All my striving during the previous year had been to research whether the following statement by Schelling was true or not: “Within everyone dwells a secret, marvelous capacity to draw back from the stream of time—out of the self clothed in all that comes to us from outside—into our innermost being and there, in the immutable form of the Eternal, to look into ourselves.” I believe, and I am still quite certain of it, that I discovered this capacity in myself. Tardises are said to be grown from a coral like substance. Steiner’s second Goetheanum has a similar organic feel. In Doctor Who inanimate objects can take on other significances like the every day objects which make up the current Tardis console. Phenomena that we consider to be paranormal are within the Doctor’s sense of reality. At the age of fifteen, Rudolf Steiner began learning the secret occult lore of plants from Felix Korgutski who later introduced him to another man Steiner always referrs to in his writings as "the Master”. The Master spiritually initiated him. Steiner never revealed the identity of “the Master”. In Doctor Who we never know the true identity of The Master. The relationship between the Doctor and the Master is never made clear although it was apparently intended to reveal him as the doctors brother just prior to the death of Roger Delgado, the first actor to play him. In Doctor Who spin off books it has been suggested that the Doctor and the Master were childhood friends, but the title “Master” does suggest some teacher/pupil relationship. 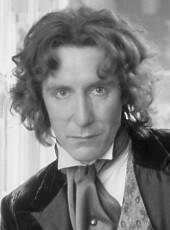 The Doctor is always portrayed as being wise and having lots of knowledge of historical events. This is often special inside knowledge as if he had witnessed those events. He has access to additional hidden history about people and events from world history which he obtained from his time travel. 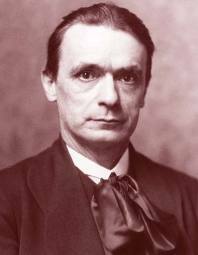 In a similar way Rudolf Steiner got special hidden information from his spiritual investigations (e.g. The Fifth Gospel). In Doctor Who, Time Lords are initiated through education on Gallifrey within an enclosed, hierarchical, society. The latest series of Doctor Who have shown flashbacks of the initiation of The Doctor and The Master. Many of the Doctor Who stores feature archetypes like messianic figures. The Doctor himself has become more messianic as the series has progressed. Often creatures of mythology are said to exist in the real world. Vampires, angels and witches are just three recent examples. Steiner believed that magical creatures exist whom he refers to as “sylphs” within a different realm or dimension of reality which can be accessed by spiritual investigation (usually involving clairvoyance and meditation) in a similar way to The Doctor visiting a distant planet or going into another time stream where the rules of physical science are different. The Doctor experiences clairvoyance at various times, especially in relation to the Time Lords and Gallifrey. There is an assumption that the supernatural exists and Atlantis and other mythical ideas are common to the world of Steiner and Doctor Who. Doctor Who (since its return in 2005) has contained the back story of a time war, which is not dissimilar to the "war in heaven" with The Doctor and The Master almost replacing Ahriman and Lucifer. 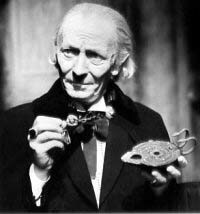 Doctor Who developed over many years and has no single originator. People like Verity Lambert, Sidney Newmann and Barry Letts were pivotal figures in its early development, but there is no evidence that any of them were anthroposophists. Still, Steiner’s writings are well known and influential beyond the confines of the Anthroposophical Society and if someone was to pick a big thinker with an other worldly personality then he would be an obvious choice, especially in the world of the 60’s and 70’s where the esoteric was considerably more mainstream than it is today. Also, if you were a writer looking for a different phenomenology of science then Goethe and Steiner are obvious sources. Easier to base something on their ideas than start from scratch I don’t think the similarities between Steiner and Doctor Who are deliberate, but they do make sense in the context of the time. A possible solution to the grandfather paradox?